For the second year, the Leedy Grange and Impressions Dance Club provided a wonderful night of dancing and fundraising in support of HomePlate! Volunteer Coordinator, Amy Smetana, gave a short presentation about HomePlate and introduced some of our volunteers. Guests were encouraged to bring gift cards and other in-kind donations which totaled over $2,500, plus over $500 in cash and checks. What a great evening of community support to ring in the holidays! HomePlate was invited by Bag & Baggage Productions to participate in “Brave Space”, a unique opportunity for youth to share with an intimate audience their experiences with being housing unstable or homeless. The three youth who participated have each been with HomePlate several years and gave us insights into their inspiring journeys to stability. Bianetth and Kirsten interviewed the youth with pre-screened questions in a conversational format. Brave Space is offered as part of a grant that Bag & Baggage received to bring diverse voices and perspectives to the community. Each youth was paid for their participation. The audience is invited to listen and reflect on what they hear without judgment. At the end the audience had time to ask the youth and staff questions. Laura, one of the youth interviewed, described how important coming to HomePlate's drop-in has been to her over the years. She said, "The meals are the reason I come to HomePlate. It's nice to get a hot, homemade meal and be around smiling faces who help and support me." She also said, "Everything I do, I do for [my son] Caden and HomePlate has been consistent and supportive for me to be successful for myself and Caden." Alec, another youth who was interviewed, described how he came to HomePlate to be away from a challenging home environment. He said, "I may have not been homeless at the time, but I wanted to be home less." HomePlate was a place where he could feel safe and supported, and also get help he needed when he did leave his family's home to find place to live. We are incredibly proud of the courage of the youth to share their stories of perseverance and resilience. Welcome Peter Kass, Employment Coordinator! We’re excited to welcome “Employment Pete” to the HomePlate team! Peter just completed his M.P.A. and has an extensive background in working with youth. 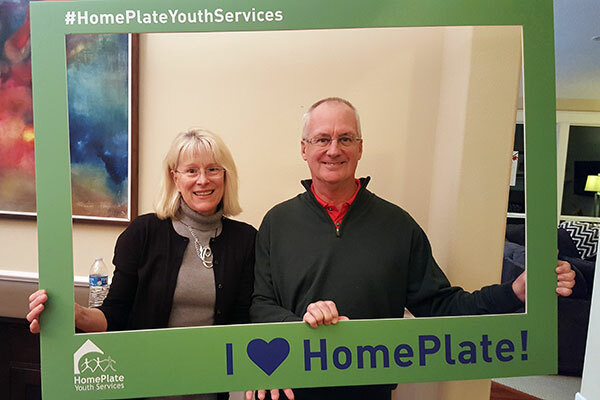 He is looking forward to meeting with youth and community partners and can be reached at peter@homeplateyouth.org or 971-400-0551.